Stock ROM/Firmware for Moto G7 Power. In this post, you will find stock ROM for Moto G7 Power with a Step by step installation guide. Are you looking for Stock ROM for Moto G7 power? then you landed at the right place. Bricked devices, Bootloops, Bugs, and many other software issues are common on Android if you love to flash Custom ROM and Mods. Flashing a Stock ROM or Firmware is the best solution to fix these issues and its a 15-minute process. Stock ROM or Firmware is the Software which comes preloaded in every device when you buy it, It is stable and contains Kernel which controls the hardware. So flashing a Stock Firmware usually fix many software issues. Also, if you want to go back to Stock ROM from Custom ROM then you can use this method. 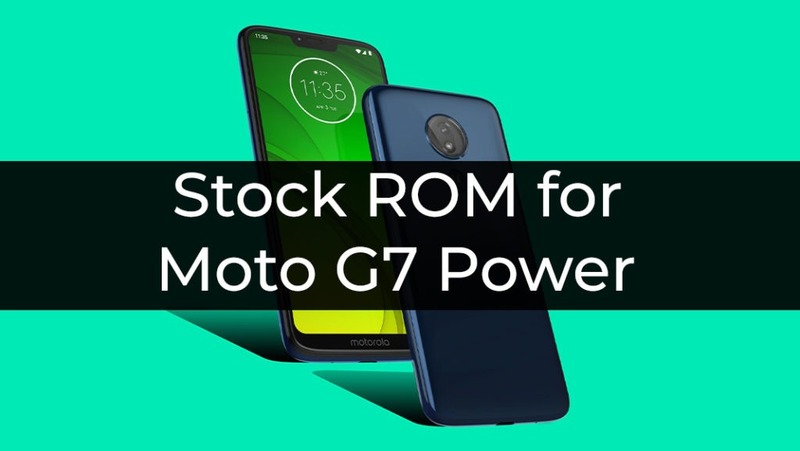 Follow the steps given below to flash Stock ROM or Firmware on Moto G7 Power. This will flash the Stock ROM/Firmware on Moto G7 Power.